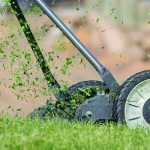 What Are The Types Of Lawn Grass? Most of us claim to be ardent nature lovers. What is the first thing that comes to mind when we think of nature? It is usually sprawling greenery with impenetrable towering trees, clear blue sky peeping through the dense foliage, and an inviting lush green carpet of grass underneath. 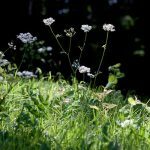 It is hard to imagine nature without grasses, as it grows everywhere; on the hills, on riversides, springs to life from the corner of a dilapidated building, in a park. However, as grass can grow absolutely, anywhere, one takes it for granted, while it should be nurtured to life, with care, in a lawn. Did you know there are several varieties of grass and each of them has exclusive shades of color and unique properties? Grasses are small herbs with narrow spear-like leaves growing from the base. These monocotyledons are beneficial to our society in more than one way. Domestic livestock can graze on the wide green pastures. Sprouted grains, shoots, and rhizomes that belong to the category of graminoids, a group that includes grasses, are consumed as food. Green grass is used to build sports turf and lawns. Grass is a cheap and convenient option to thatch roof of houses. Elegant weaving basket made of grass is sold at a good price in elite handicraft markets. Some small animals like mice, insects like caterpillars and grasshoppers thrive on green grass. It is a fodder for many animals like cows, buffaloes, deer, and horses. Grasses come in wide varieties. Among the several varieties of grass, there is a marked distinction between warm weather and cool weather grasses. Warm weather grasses grow at an optimum level in a temperature range of 27-30 degree Celsius. They are mostly found in subtropical and humid climate. Best examples of warm weather grasses are St. Augustine, Bermuda grass, Pampus grass, Zoysia grass, Bahia grass, etc. 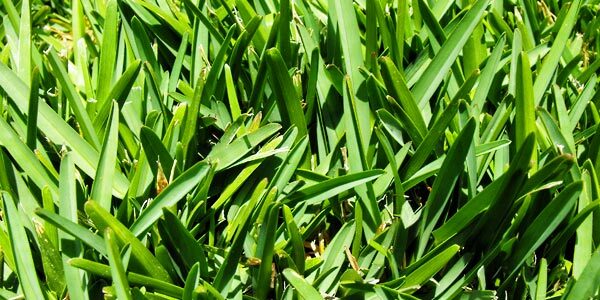 This grass is a salt tolerant turf that grows in abundance in subtropical and humid climate. It is light green in color, grows well in a wide assortment of soils that are well drained, and gives the turf an even green carpet look. It grows around 2 ½ – 3 inches tall. Owing to its look, St. Augustine is also known as carpet grass. 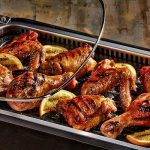 Although it can withstand extremely high temperature, you have to keep it adequately moistened during summer time. St. Augustine grass is able to retain its green color even during an exposure to lower temperatures. Mowing of the grass is hardly required. The sowing of seeds takes place in early spring or late summer. 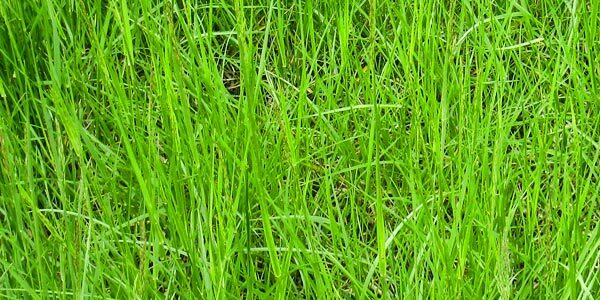 Grass plugs are the easiest option to plant St. Augustine grass. They are placed at a distance of 6-12 inches apart giving them enough space to spread. The seed is planted at a rate of 1/3 to ½ pound per 1000 square feet. Although a low maintenance grass, it requires frequent watering during the first 10 days of planting the grass. You can irrigate at the rate of ¼ -1/2 inch after the formation of roots. Reduce the frequency of irrigation as the lawn is established. Spray 1 pound of nitrogen every 30-60 days to fertilize the soil during spring. 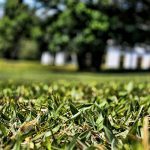 Few factors that can damage the grass is chinch bug, diseases like gray leaf spot, and St. Augustine decline that usually shows up in winter or spring. 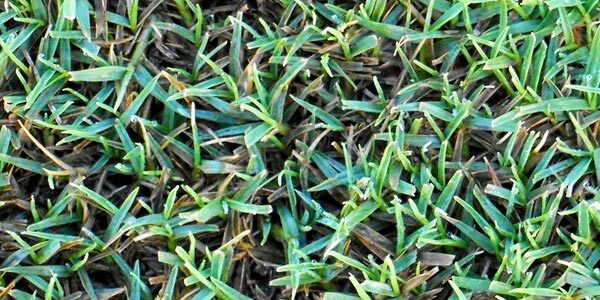 Brown patch disease brings alive the fungi in warm weather and causes severe damage to the grass. You have to consult a lawn-care professional to treat your St. Augustine grass with the necessary pesticide and fertilizer. A salt tolerant warm weather grass, Bermuda grass can grow full throttle in warm sunlight and well-drained soil. It ideally grows in southern lawns of the US stretching from one coast to another. With exceptional heat, drought, and traffic tolerance potency, the Bermuda grasses are tough and resilient. It is quite sensitive to colder temperature, which is why it is not commonly found in the northern region. Bermuda grass is also favored in athletic field and golf course tee areas owing to its tough, resilient properties. It is best sown in spring when the warm season dormant grasses start to come alive. This type of grass is more comfortable in alkaline soil. Soil pH required for a successful plantation of Bermuda grass is about 5.8 – 7. When the plant has grown at an optimum level, you have to fertilize the soil every month. Make sure you mow twice a week to keep the blades of the grass at a recommended height of 1- 1 ½ inches above the surface in your lawn. Although the grass is tolerant to drought, an excessive drought will make it dormant. In case of a blistering summer, irrigate your lawn or arrange to water the 1-1 ½ inches grasses frequently. Bermuda grass grows aggressively in the summers with its roots firmly placed in the ground and goes deeper about 6 inches beneath the surface. Owing to high growth rate, usual damages to the lawn are contained by the plant itself. They recuperate faster than other warm weather plants. An abundance of sunlight, heat, and humidity acts as a catalyst for the growth of Bermuda grass. The extensive root system, which can go up to 6 feet or more underneath, gives the required resilience to the leaves on the surface. Pampas grass, a warm weather grass, makes for an attractive landscape. It has dense narrow foliage that grows randomly at the base, and creamy white feather-like plumes tower tall at about a height of 5-10 feet. They grow quickly covering the entire landscape forming a dense bush-like structure near the surface by spreading its narrow bladed foliage. The plumes grow amidst the leaves and are visible from a distance due to their height. They sway with the wind giving the landscape a dynamic vibrant look. Pampas grass can grow in any assortment of soil. However, they grow best in moistened, well-drained soil. They are tolerant towards salt, drought, and wind. You need to have a spacious lawn to plant Pampas grass. They require large space to grow and you have to plant them 6-8 feet apart thereby giving them enough room to spread their foliages. A lot of sunshine is a catalyst for their optimum growth. Partial shades do not stunt their growth either. They are low maintenance plant, which requires watering only during drought. Every year you can take up a restorative action like pruning to stimulate the plant’s growth. A balanced fertilizer along with trimming of old brown leaves helps the plant to grow faster. Mostly fungi related problems affect the ornamental grass. Powdery mildew is a kind of fungi that form a cobweb like structure at the base of the foliages. Slowly they engulf the entire plant and the creamy white plumes look as if they are sprinkled with powder. The Pampas grass loses its shine and becomes thin. A lot of sunlight and dry climatic condition prevents the growth of Powdery mildew. Pampas grass that grows during spring or early summer undergoes a problem called rust that makes them dormant in summers. You have to trim down the rust affected red stem a few inches above the ground to help it get rid of the disease. Cool season grass, on the other hand, grows best between temperatures of 15.5 -24 degree Celsius. They include perennial ryegrass, tall fescue grass and Kentucky bluegrass. These bright green colored grasses are classified as perennial grass that is a permanent choice for lawns in a cool climate. The annual ryegrass is a seasonal component living only for a year. Ryegrasses are mostly found in the northern states and owing to their versatility, they are often mixed with seeds of other grasses. They grow fast providing a green cover to the lawn and acts as a cover to prevent erosion of soil. They are used as green manure. If left to decompose, they provide abundant nutrition to the developing soil of a new lawn. Perennial ryegrass is easily digestible and is a favorite animal fodder. Annual ryegrass is the seed that is mostly sold to be planted in pastures and lawns across the world. 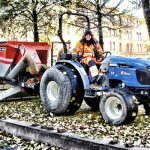 You do not need to undergo the trouble of tilling, mowing or digging the land to plant ryegrass seed. Simply throwing the seed on the ground is enough for them to grow. This cool season grass makes for the most lawns and pastures due to their fast- growing ability. Their thick foliages spread quickly over the entire lawn and pasture making them the most wanted seed among all other cool weather grasses. They are low maintenance grass; however, require frequent watering and mowing if sown in warmer regions. Low to medium fertilizer is sufficient to maintain the plant’s health. Ryegrass makes for good pastures attractive to grazing animals. You ought to be doubly careful in the maintenance of the pasture. A fungi disease called Crown Rust significantly damages the grass and severely affects the milk production of cows. The plant growth is stunted owing to the fungi infection, and yellow spots start developing on the leaves. Infected leaves face a premature death. Trimming down infected leaves along with using fungicides are effective in combating the disease. It is a cool season grass, which is tolerant towards cold, drought, heat, and shade. Tall fescue grass is mostly found in northern regions and transition zones having a temperature of 15-24 degree Celsius. 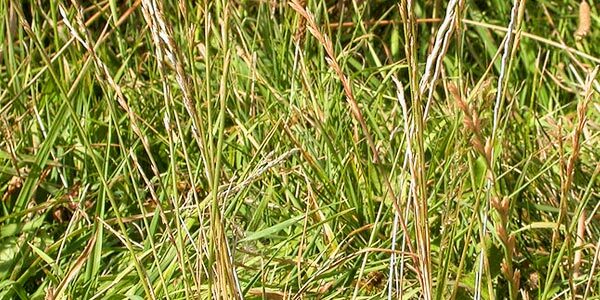 Commonly found midway across the Atlantic into the Midwest, these grasses are mostly disease resistant, however, does not possess self-recuperating potency. A low maintenance grass having a dark green hue, growing about 2-3 inches above the surface, and having a narrow blade is a favorite because of its strong resilience. 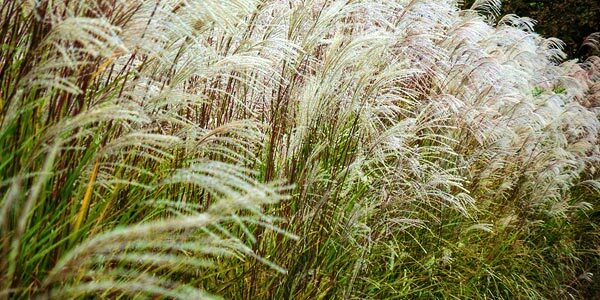 It has greater tolerance of cold than other warm season grasses. They are planted during spring in a wide array of soil quality. Tall fescue grass digs in their roots up to 2-3 feet beneath the surface, deeper than any other cool -season grasses. They form clusters that tolerate shades. They grow in clusters, producing short rhizomes, which do not allow them to spread laterally. A premium blend of seed makes for an even, uniform spread of tall fescue grass across the lawn. The extensive root system draws minerals and nutrients from the soil. They require infrequent dethatching owing to the formation of clusters. Irrigation is required in the warmer months followed by a professional grade fertilizer to maintain the health of the plant. Brown patch disease caused by the fungus Rhizoctonia Solani damages the Tall fescue grass. The fungus grows in an atmosphere of continuous heavy rain, humid climate associated with a temperature of 28 degree Celsius. Excess nitrogen fertilization aggravates the disease of the plant. Leaf blade affected with the fungi, gets water-soaked, and drops down, and eventually, brown patch starts appearing leading to the collapse of the plant. 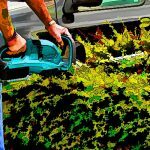 With low self-recuperating potency, it is best to seek assistance from lawn care professionals to get rid of the weather based fungi infection. All plants require loads of sunlight, fresh air and the right amount of moisture to grow at an optimum level. Some of them we discussed above are shade tolerant, however, that does not mean they will grow well in shades. You ought to feed them with the maximum amount of sunlight to achieve full growth. However, there are specific shade tolerant grasses that can grow well in low light areas of your turf or where average sunlight received is less than 4 hours. These are Red Creeping Fescue, Velvet Bentgrass, Rough Bluegrass, St. Augustine, Zoysia and Hard Fescue. How and When to Seed Lawn Grass? 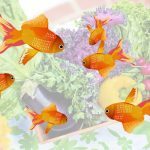 How To Start Your Own Aquaponic Garden? How To Get Rid Of Weeds In My Lawn? 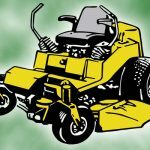 What Are Some Of The Best Lawn Mowers To Buy? 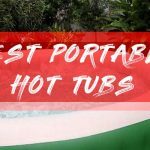 TheProperHome.com is a participant in the Amazon Services LLC Associates Program, an affiliate advertising program designed to provide a means for sites to earn advertising fees by advertising and linking to Amazon.com.